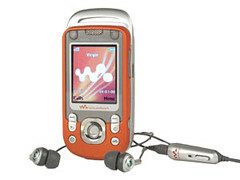 I love my Sony Ericsson walkman phone. Ever since it entered my life most of the boring situations have become interesting. Being a new recruit in office meant having to eat my lunch alone, not any more ever since I got the phone. I could play “Aahista Aahista” from Swades by ARR or “Summer – Party” from Requiem for a Dream by Clint Mansel and instantly be in company. The best part is that the music quality and noise reduction features are simply amazing. Friday I woke up late. By the time I got ready the shuttle to office has left. Generally the bus leaves at 8:30 from the place where I stay and takes about 15 mins to reach the downtown Seoul. By walk it takes 25 mins to reach the place. And to be frank I didnt feel the cold or loneliness once since I was enjoying the music. No wonder Sony Ericsson’s new campaign for their walkman phones is so true. Watch the entire video at their site.